Best Vodka Martini in Town? We put Warsawa to the test. Plus, more martini ideas. 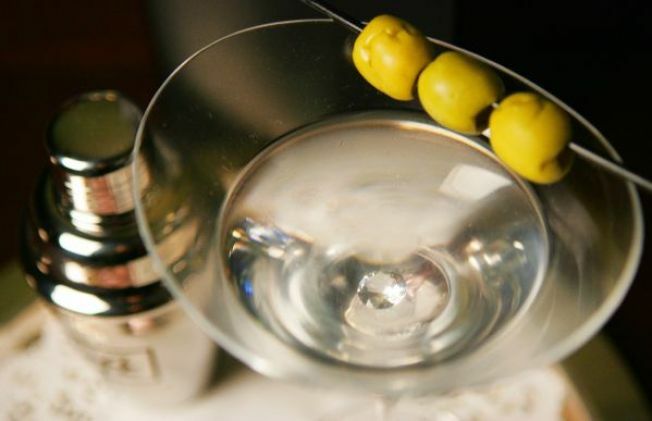 Purists say only gin makes a real martini. But we say vodka makes a fine choice. Santa Monica's Warsawa claims to serve the best. Our taste test reveals the not-so-harsh truth. LA loves its drink. Whole neighborhoods are practically organized around their watering holes. (What choice do we have when public transport is so limited? That's our story, anyway.) So when a joint claims it mixes the "best vodka martinis in town," they better deliver. Warsawa, the button-cute Polish eatery in Santa Monica, makes the bold statement right on its menu. Recently we asked them to put their olive where their mouth is and prove it. Our martinis were teeny, served in mini glasses that would surely irk James Bond. But they were perfectly chilled, and once we tasted them, size was not an issue. The dirty martini was indeed; cloudier than we're used to, and that's a good thing. The vodka (Polish, of course) was smooth and strong-like-bull yet gave no hint of the shudders. So tasty were these salty devils, we all wanted more. One brave soul indulged, but had to stop halfway lest he slip under the table. Gimlet-lovers can rest assured, too. Served with a pretty twist, these beauties swirl seductively thick and crystal-clear around the glass. Second servings of those were gladly guzzled. Does Warsawa serve the best vodka martinis in town? Depends on how you define town. It's a serious claim, and there are lotsa vodka joints in LA. But given that we're still drunk and happy from our Polish taste test, who are we to argue?